Mahalo Scott Hawaii, hana hou! Lynn and P.K. stand by the pile of Scott Hawaii slippahs picked up today. Michael Scott and Scott Hawaii came through again for the Slippah Foundation. Today we picked up over 800 pairs of slippahs which are destined for several public housing projects, and Wahiawa and Waianae homeless kids. 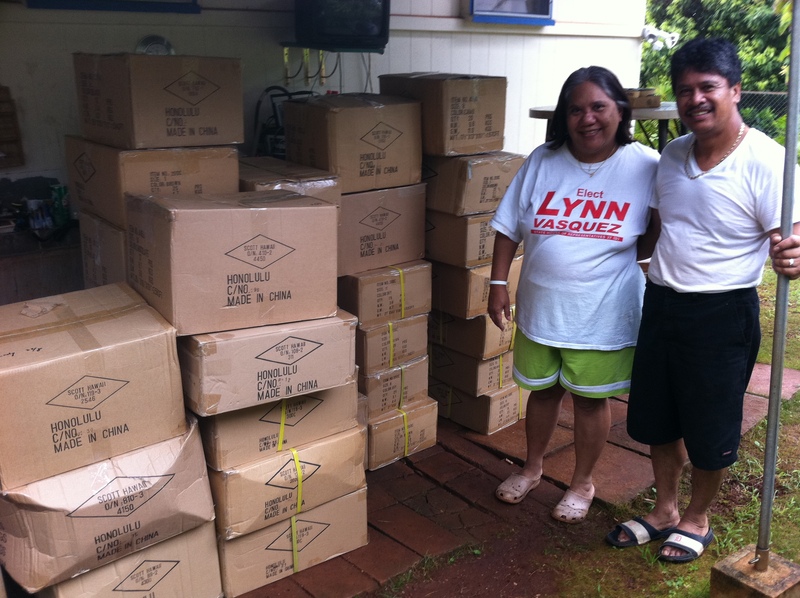 Mahalo nui to Scott Hawaii, who continues to support disadvantaged Hawaii kids. Mele Kalikimaka!